How do you get to combine teaching with a career in nursing? 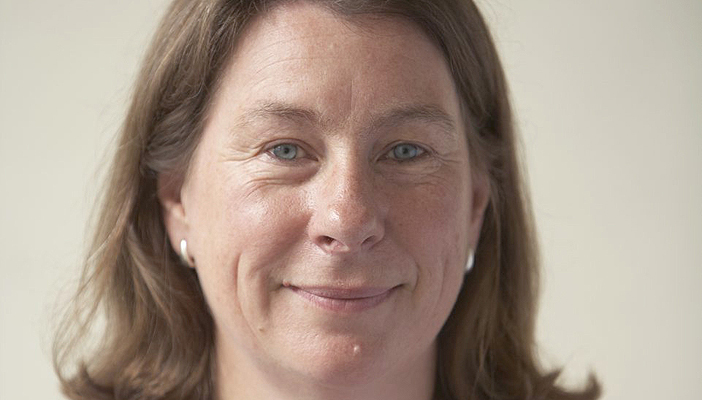 Janet Marsden, a professor in Ophthalmology and Emergency Care at Manchester Metropolitan University, gives an insight into her chosen career path. How did you get into your profession? I began my career as an undergraduate in Chemistry, but realising that I preferred interaction with people, I changed track, undertaking general nurse training at Manchester Royal Infirmary. I secured a post at Manchester Royal Eye Hospital, undertaking further education in ophthalmic nursing. While managing the ophthalmic ED, I became involved in the development of a city-wide triage system (later to become an international system), undertook a part-time degree in Nursing Studies and followed this with a Masters degree, again undertaken part time, in Practitioner Research. Moving to a role as a Lecturer/Practitioner with Manchester University and the Eye Hospital, I developed my interest and skills in teaching and professional development. I was appointed to a full-time post at Manchester Metropolitan University in 1996 and awarded a personal chair in Learning and Teaching, entitled “Ophthalmology and Emergency Care” in 2009. My job involves teaching, research, supervision of students undertaking degrees, writing for publications, keeping up to date with practice, meeting people, liaising, supporting and consulting. What are the highlights of your role? I enjoy seeing students change the way they think because of their study, achieve academically and then seeing them move on in practice. Being a nurse, I keep my feet firmly in practice and working with patients is immensely satisfying. What are the more challenging parts of your job? Dealing with University systems, while necessary, sometimes seems to hinder work, or certainly make it more difficult, rather than facilitating it. Fitting all my work into the hours available is also hard. Do you feel you make a difference? I hope so. I know that what I do helps to make other people make a difference because I’ve seen them do it. I hope that I make an actual difference as well. What is the funniest thing that has happened to you since taking this role? There have been a lot of funny moments. For my audience, me stepping backwards off a stage after finishing a talk at a conference and disappearing was a highlight for many of them I suspect! If this wasn't your job, what would you be doing? I’d be an engineer of some sort, or perhaps a horticulturalist – something that involves getting your hands dirty with an actual product at the end of it. My allotment keeps me sane. Would you encourage people to join your profession? I think so. It’s not an easy job and nursing seems to be everyone’s scapegoat. It’s the budget that’s always cut – but when there aren’t enough nurses to do the job properly, it’s the nurses’ fault, not those who cut the numbers. I don’t think there is any nurse who goes to work intending to do a bad job. I don’t speak to anyone who isn’t struggling in the role, but the rewards, in all but financial terms, can be immense. What are the three essential qualities you believe are needed for this role? For my role, hard work, never saying no to a good offer and being in the right place at the right time! How to become an ECLO? "Working in rehab is the best job ever"